Here's a copy of a complete databook from a Dutch Mack dealer of the 70's. It contains numerous datasheets and other very interesting info. Not fully scanned and uploaded yet. Credits to Kees Kamp for providings the scans. 7 pages partial scan. Note how in those days a &quot;crewcab&quot; was called a &quot;Sedancab&quot;. With credits to Hector Teixeira. 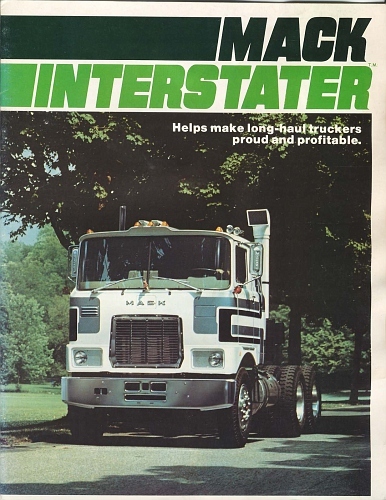 For the 1981 Superliner, Mack seems to have used their 1978 brochure.